Humans have kept cats around for nearly 10,000 years, according to Encyclopaedia Britannica, and domestic cats are now found on every continent except Antarctica. 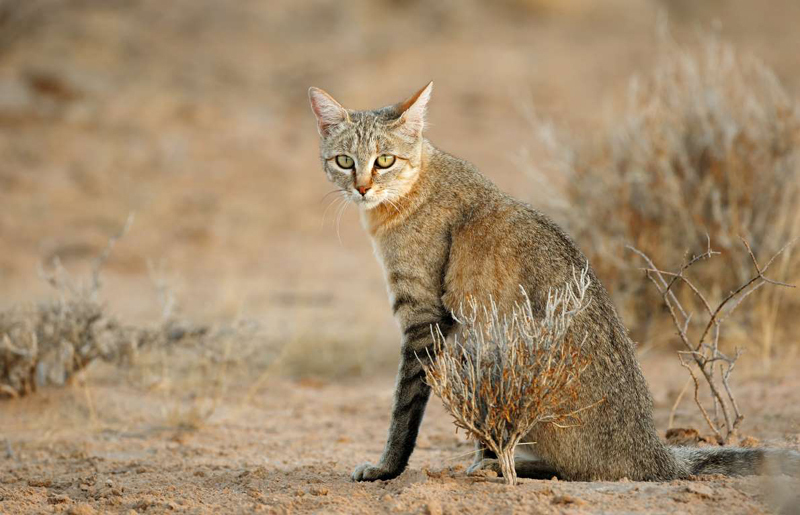 Recent research from the University of Leuven reveals that all domestic cat breeds descend from a single species of African wildcat with the Latin name Felis silvestris lybica. The researchers believe cats most likely became domesticated when farmers kept them around to chase rodents from grain stocks. 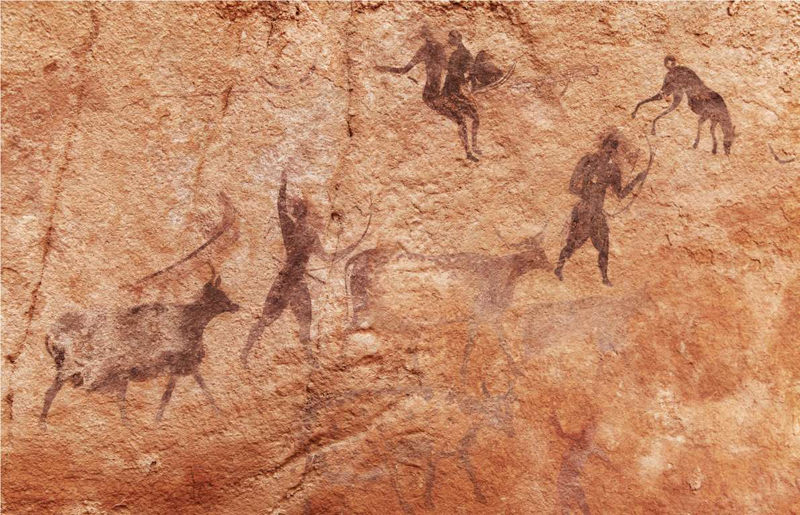 Cat domestication in China dates back more than 5,000 years, according to a 2013 study from Washington University in St. Louis. 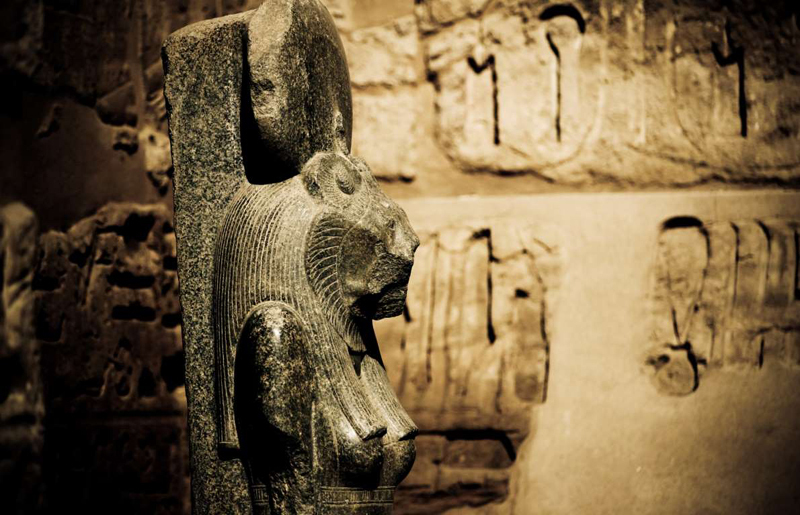 In Ancient Egypt, the worship of the cat goddess Bastet is well documented; scholar Geraldine Pinch, cited in the Ancient History Encyclopedia, writes that Bastet had “a double aspect of nurturing mother and terrifying avenger.” Several Egyptian deities took feline form, including Mafdet (a goddess of justice) and Mau (a personification of Ra known as the divine cat). In ancient China, the cat goddess Li Shou was associated with pest control and fertility. 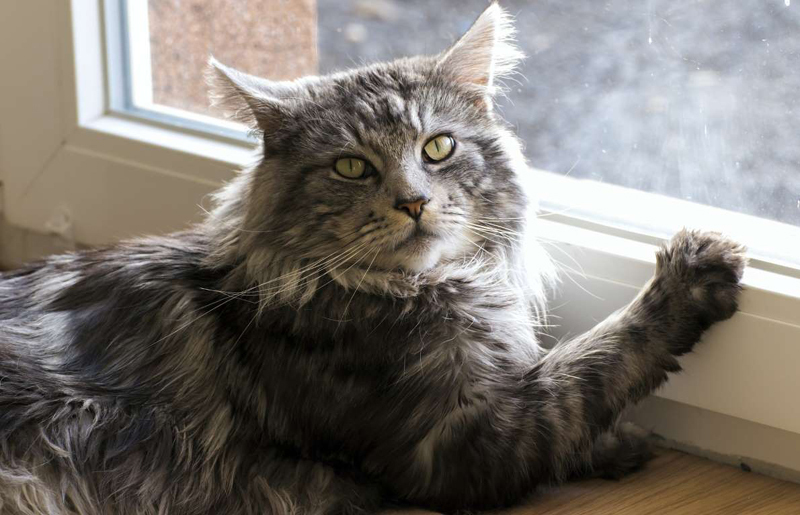 According to the Ancient History Encyclopedia, an ancient Chinese myth relates that when the world was created, the gods appointed cats to rule; it was only when the cats lost interest that humans took the job. The important Viking goddess Freyja travels in a cat-drawn carriage. 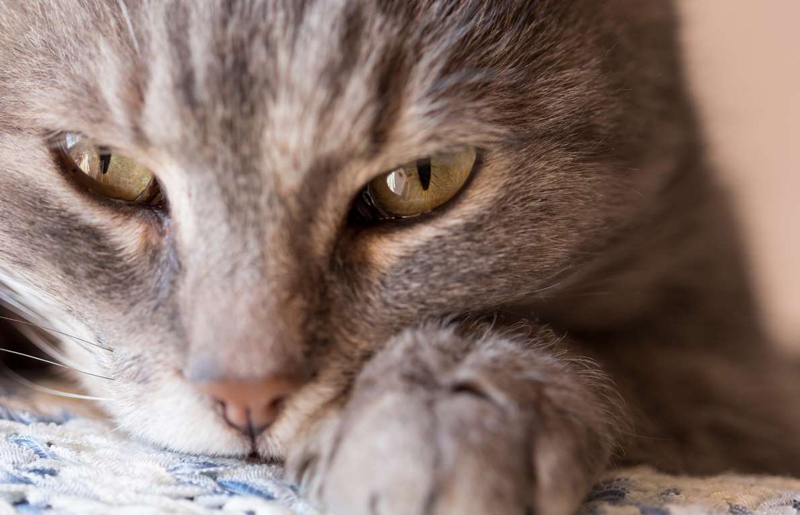 Although many “assume that a cat’s purr is an expression of pleasure or is a means of communication with its young,” according to Scientific American, the real story may be more complicated. Cats also purr when stressed or when recovering from injury. According to Encyclopaedia Britannica, purring may be a self-calming mechanism for cats in distress—the equivalent of a mantra. 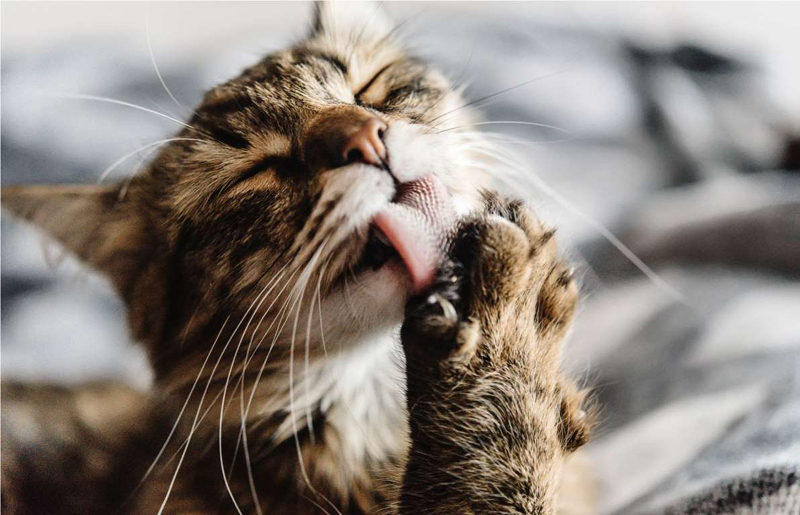 According to Reader’s Digest, “cats spend up to 50 percent of their waking hours grooming” themselves. 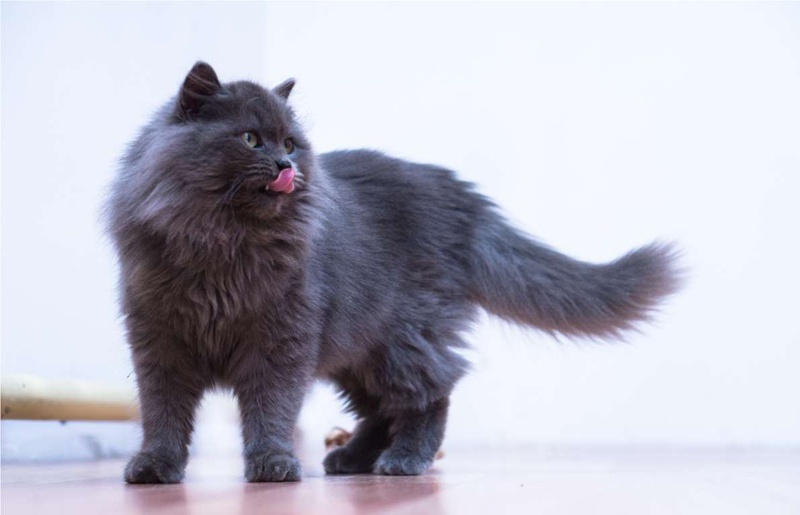 A cat’s tongue, covered in tiny, bristle-like hairs, stimulates blood flow and distributes natural oils around the cat’s coat, which seal in heat and keep dampness away. 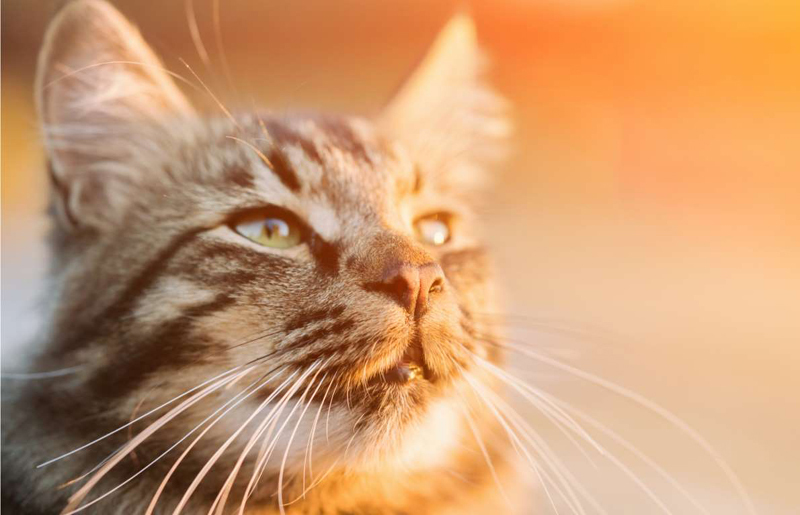 Cat saliva is also thought to serve as a natural antibiotic. When it gets hot, cats also lick themselves to stay cool. A lot can be learned about cats from watching their tails. According to National Geographic, “a straight-up tail with a hooked tip is a friendly greeting, while an aggressive cat may just have its tail straight up.“ A whipping tail is a warning sign; an arched back and a puffed-up tail mean the cat is afraid. A relaxed cat will “carry its tail in a neutral or low position.“ According to Encyclopaedia Britannica, cats’ tails also serve as balance aids. 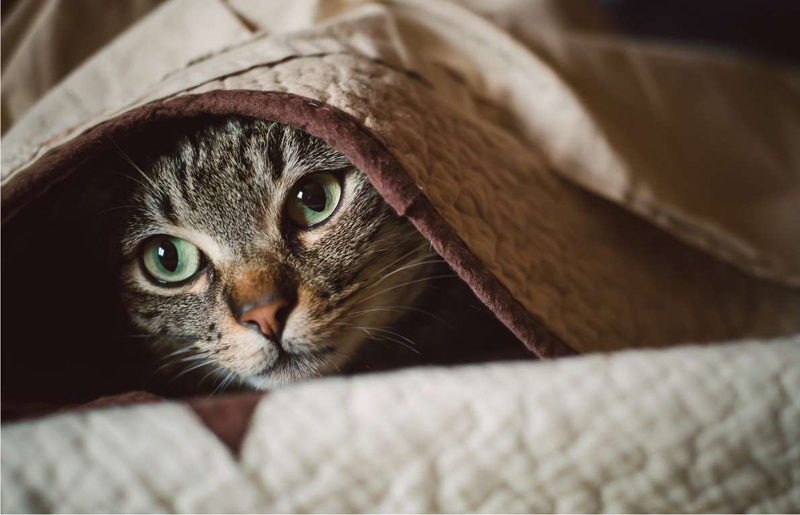 A study from Japan’s Kyoto University, summarized on the popular science website IFLScience!, concluded that cats understand cause and effect—the idea that a sound or movement is the result of a previous action. 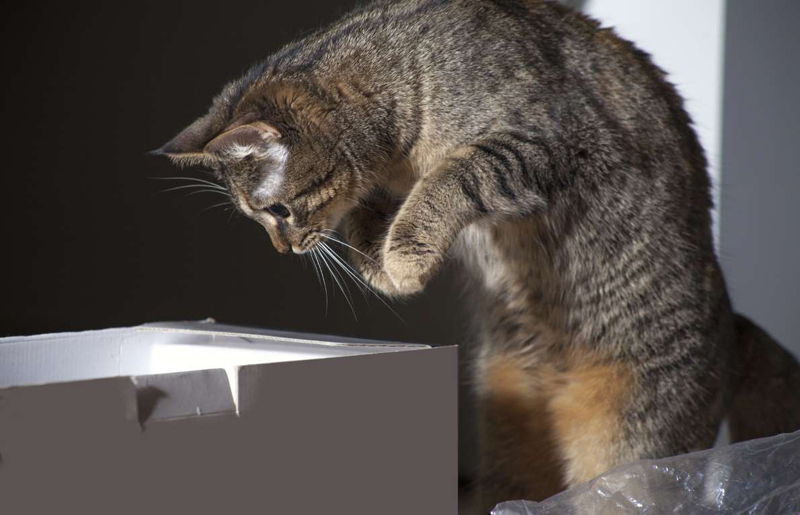 Researchers concluded that cats “appear to be able to predict the existence of invisible objects based on what they can hear,” according to IFLScience! According to Encyclopaedia Britannica, neutered cats have longer lifespans than non-neutered ones, “partly because they have less desire to roam.” Cats normally live about 10 to 15 years, although the Guinness World Records state that the oldest cat on record lived to the amazing age of 38! 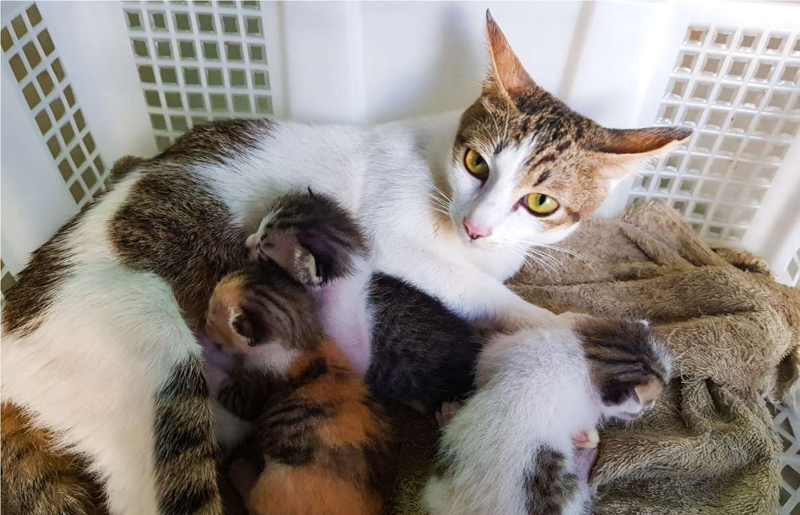 When a mother cat gives birth, according to Encyclopaedia Britannica, she breaks the umbilical cord, breaks open the kittens’ amniotic sacs—and usually eats the placenta. Cats Protection says this is to “hide evidence of the birth”; Encyclopaedia Britannica says it stimulates lactation. 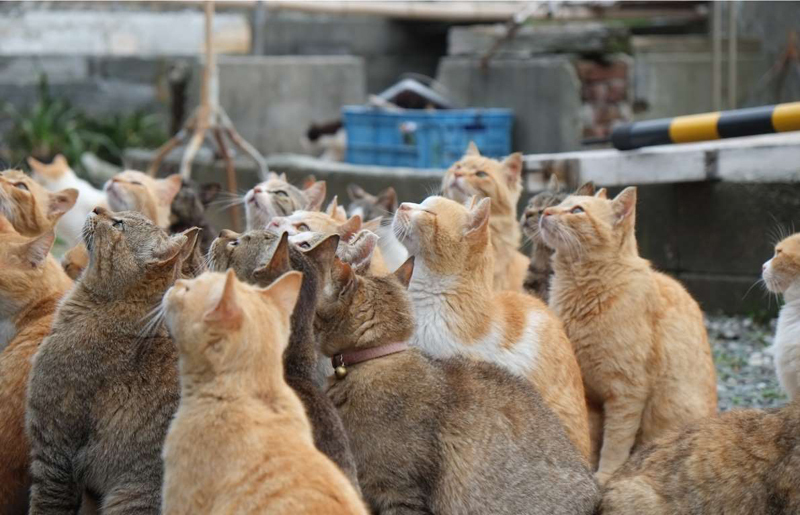 The island of Aoshima, in southern Japan, has more cats than people. According to a Reuters article, cats outnumber people six to one on the small island. The cats were originally introduced to the tiny island to deal with troublesome mice. Now the cats are turning the island, which has only a handful of human inhabitants, into a tourist destination for Japanese day-trippers. According to the U.K.-based International School for Canine Psychology and Behaviour, no two dogs have the same nose print. “Dogs’ nose prints are as unique as a human’s fingerprints and can be used to accurately identify them,” says an article on the school’s website. 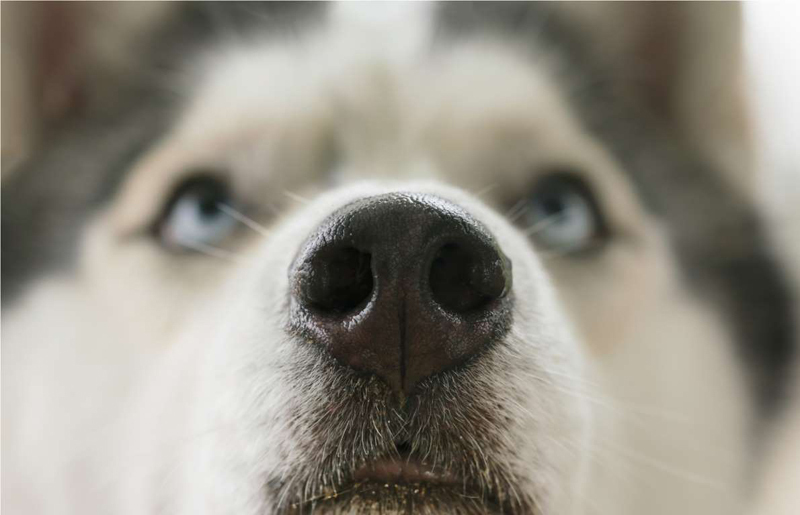 A brief paper in Veterinary Quarterly describes how Romanian researchers created a software program allowing them to identify dogs by their nose prints. 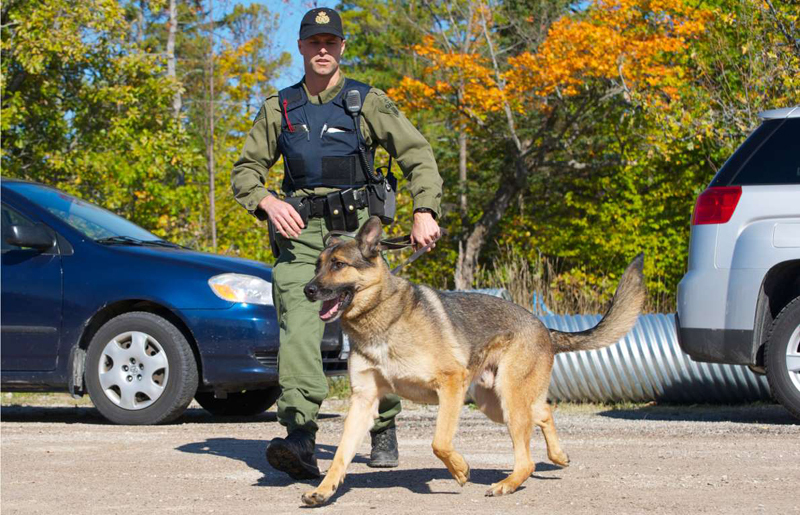 The paper says the software may be used to identify lost, stolen, or disputed dogs. It’s no secret that dogs have an exceptional sense of smell—10,000 to 100,000 times better than that of humans, the PBS show Nova explains on its website. That ability is comparable “to catching a whiff of one rotten apple in two million barrels,” according to one dog scientist. Humans have put dogs’ exceptional noses to work sniffing for drugs—Nova recounts that one sniffer dog “‘found’ a plastic container packed with 35 pounds of marijuana submerged in gasoline within a gas tank.” Dogs have also been trained to sniff for cancer, to detect epileptic seizures, and to sniff out low blood sugar levels in diabetics. According to the American Kennel Club, dogs have also been trained to sniff out sewage leaks that could pose a threat to human health. 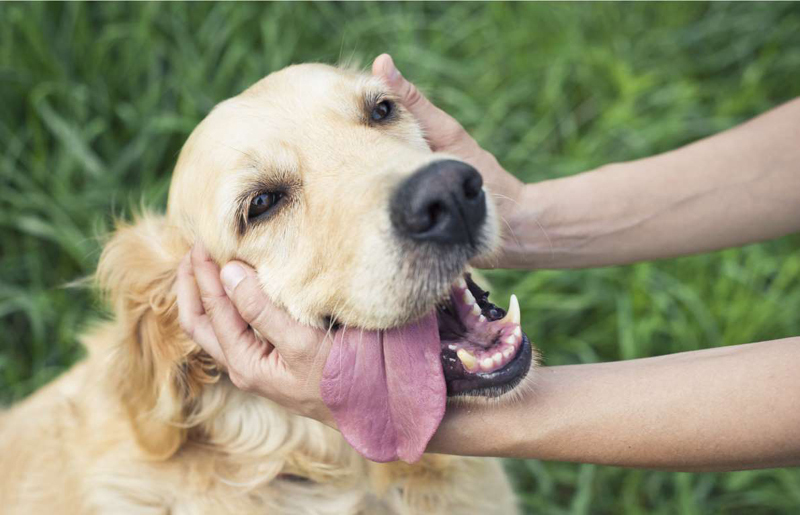 Scientists at the University of South Carolina concluded in a 1988 study that talking to and petting a dog can lower a human’s blood pressure and heart rate. 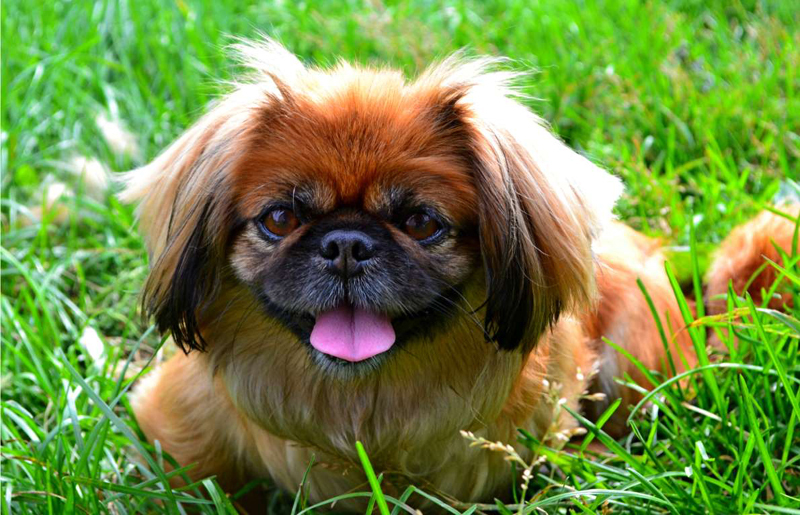 Owning a dog may also lower your risk of heart disease, according to a 2013 article in the Harvard Health Blog. Although there’s no ironclad scientific proof that dog ownership impacts cardiovascular disease rates, an evidence review by the American Heart Association found that dog owners were more likely to exercise, and regular physical activity is key to maintaining a healthy heart. Be careful what you say around your dog—he or she might understand more than you think! Research by Stanley Coren, PhD, of the University of British Columbia, suggests that dogs can understand as many as 250 words, count up to four or five, and understand basic arithmetic. Coren says dogs’ mental abilities are close to those of a child aged two or two and a half. According to Coren, border collies, poodles, and German shepherds are the most intelligent in the working and obedience categories. 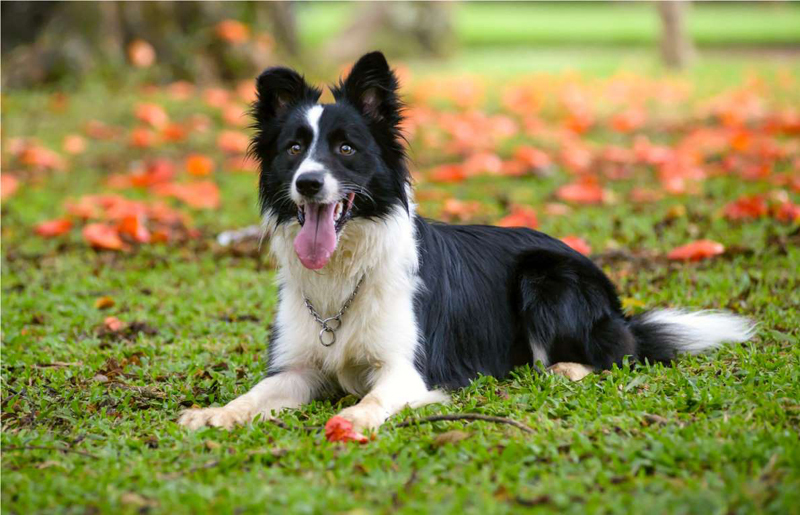 Chaser, a border collie in South Carolina, reportedly learned over 1,000 nouns; her skills earned her an appearance on NBC’s TODAY Show. Encyclopaedia Britannica explains that dogs, just like human children, have two sets of teeth: baby teeth and permanent teeth. According to the American Kennel Club, puppy teeth, which can be very sharp, grow in when a dog is about three weeks old. When the dog is around four months old, the puppy teeth are replaced by adult teeth, which grow behind the puppy teeth and eventually push them out. 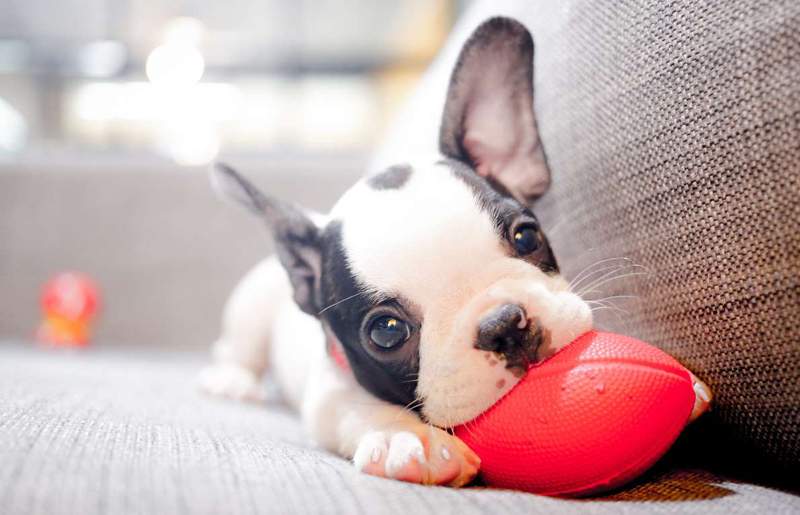 Don’t worry about the tooth fairy coming to get your puppy’s teeth, though; the AKC says puppies tend to chew and swallow their own baby teeth. 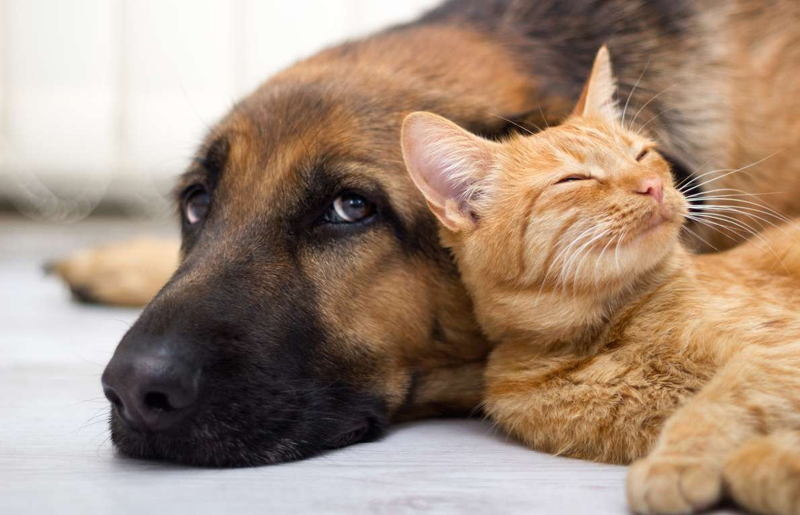 In ancient Egypt, dogs, like cats, were kept as pets. 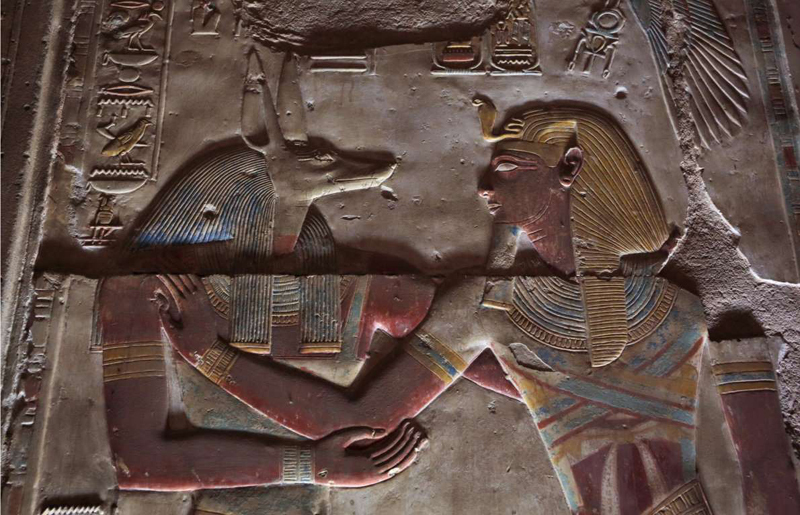 Associated with the dog god Anubis, they were carefully mummified and “buried with great ceremony” when they died, according to the Ancient History Encyclopedia. When a dog died, human family members would shave their entire bodies, including their eyebrows, in a highly visible sign of mourning. Dogs were often buried with their masters, so that the two could remain together in the afterlife. According to History Extra, dog owners have been entering their canine companions in shows and contests for more than 150 years. 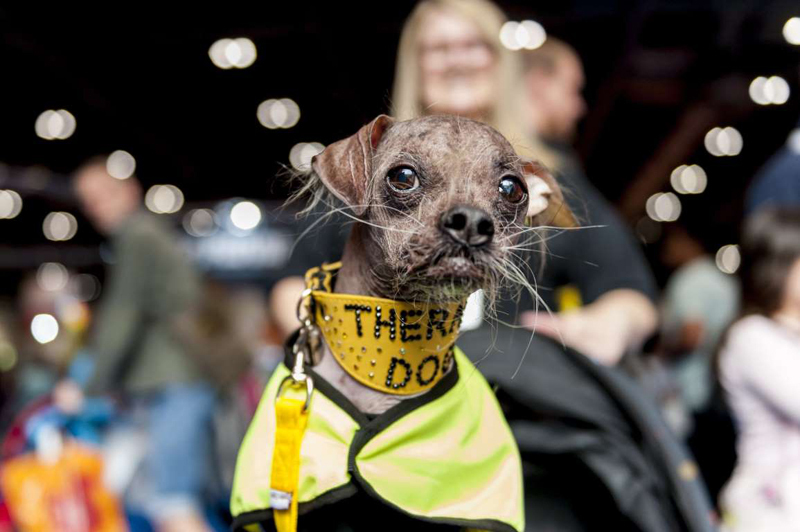 One contest in Petaluma, California, however, is different—the Sonoma-Marin Fair gives out an annual prize for “World’s Ugliest Dog.” Mugly (pictured), a Chinese crested dog, won the prize in 2012.